I, for one, used to grumble deep within me that Rick Riordan can't write fast enough (Sorry!). He writes a lot but the gap in waiting for his next book is excruciating. But now that many more authors are behind and in league with him, through his imprint Rick Riordan Presents, I cannot keep up with the many books that he and his allies have written for us. Now I can barely swim to the surface of the ocean of these mythology-inspired novels that are surely great and fun to read. They offer me inside knowledge of the less represented mythologies around the world in the contemporary or futuristic settings -- what more could I ask for? Here are some of the upcoming titles from said imprint with their newly revealed fantastic covers. A seventh-grade girl and her brother, aided by various Navajo gods disguised as relatives, must stay one step ahead of a shape-shifting monster as they follow in the footsteps of the legendary Hero Twins to save their family. 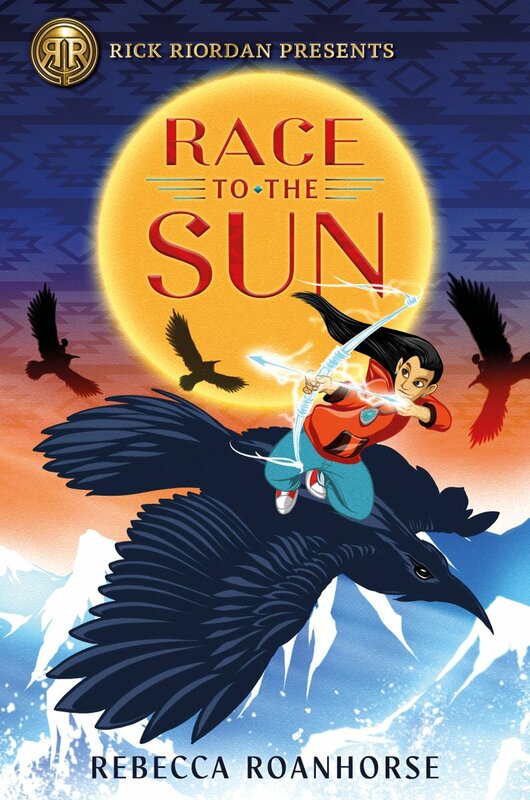 Race to the Sun by Rebecca Roanhorse will be released on October 15, 2019. Zane Obispo's new life on a beautiful secluded tropical island, complete with his family and closest friends, should be perfect. But he can't control his newfound fire skills yet (inherited from his father, the Maya god Hurakan); there's a painful rift between him and his dog ever since she became a hell hound; and he doesn't know what to do with his feelings for Brooks. One day he discovers that by writing the book about his misadventures with the Maya gods, he unintentionally put other godborn children at risk. Unless Zane can find the godborns before the gods do, they will be killed. To make matters worse, Zane learns that Hurakan is scheduled to be executed. Zane knows he must rescue him, no matter the cost. Can he accomplish both tasks without the gods detecting him, or will he end up a permanent resident of the underworld? In this cleverly plotted sequel to The Storm Runner, the gang is back together again with spirited new characters, sneaky gods, unlikely alliances, and secrets darker than Zane could ever have imagined. Secrets that will change him forever. 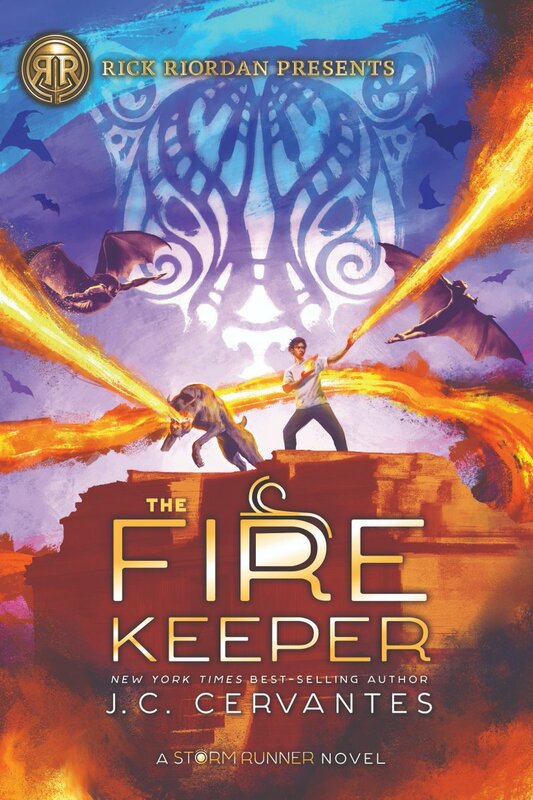 The Fire Keeper by J. C. Cervantes will be released by September 17, 2019. Pitched as an MG American Gods, the book stars a seventh-grade boy who accidentally creates a hole into the Midpass, a world where ancient African gods clash with gods of African-American legend. He must race to find Anansi, the Weaver, and repair the rip before the iron monsters wreaking havoc in the Midpass consume their world and ours. 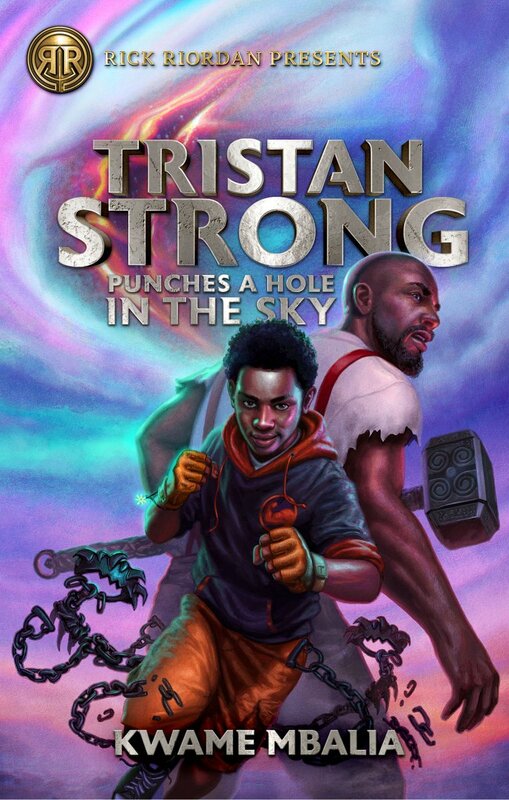 Tristan Strong Punches A Hole In The Sky by Kwame Mbalia will be released someting in 2020.